Pest description and damage The cottony camellia scale crawlers are flat brownish or yellowish sucking insects. Females create a distinctive oblong cottony sac for the eggs. Pale yellow crawlers (young scale) feed on the undersides of leaves and along veins. Foliage with scale infestations may turn yellowish or pale in color. Due to copious honeydew, leaves below become covered with a crust of black sooty mold. 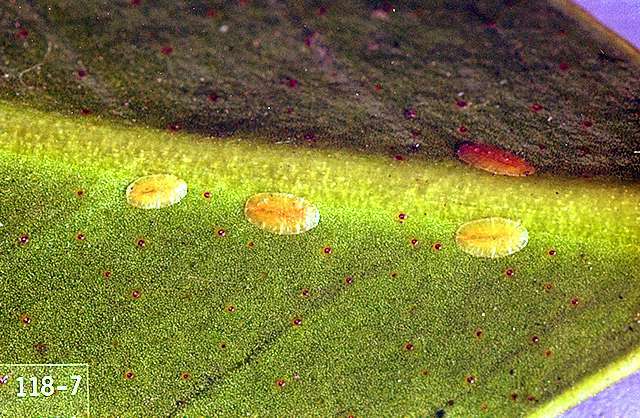 The cottony camellia scale also is found on English ivy, yew, euonymus, holly, hydrangea, maple, mulberry, pittosporum, rhododendron and yew, the host by which it is also known as the cottony yew scale. It is possible to have low numbers of this insect for years without an outbreak. Biology and life cycle The scale overwinter as nymphs on twigs of the leaves. 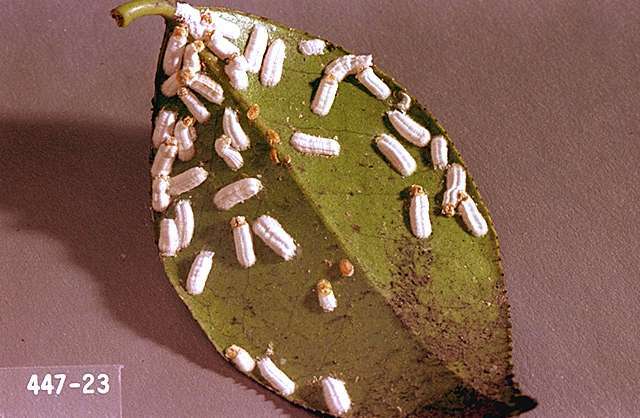 In the spring, adult females lay cottony egg masses about 0.25 inch long on the underside of leaves. The eggs hatch, and the crawlers settle on the leaves along the veins to feed. There is one generation per year. Pest monitoring Look at the undersides of leaves where black sooty mold develops. Host plants may have continuous low numbers of scale or be patchy in distribution on the plant. Check for natural enemies, or evidence of parasitized scale. Small birds and parasitoids feed on the scale, but there is little written on the natural controls of this pest. It is likely that natural enemies account for the low number of scale year after year on observed plants. 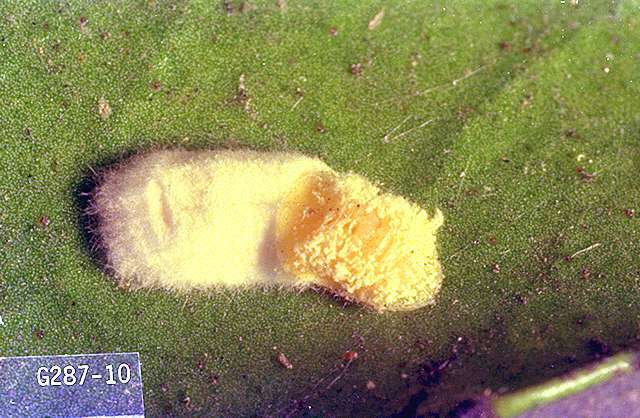 Low numbers of cottony camellia scale do little harm to plants and provide parasitoids with a steady source of prey. Periodically, there is an outbreak that may require control.